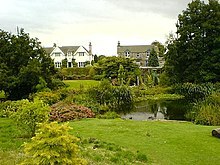 – My English pals and I stayed with friends in their 1820 stone house overlooking the sea in the pretty suburb of Portobello – a town where Findlay’s butcher shop boasts that it has world’s best haggis. We didn’t try it. 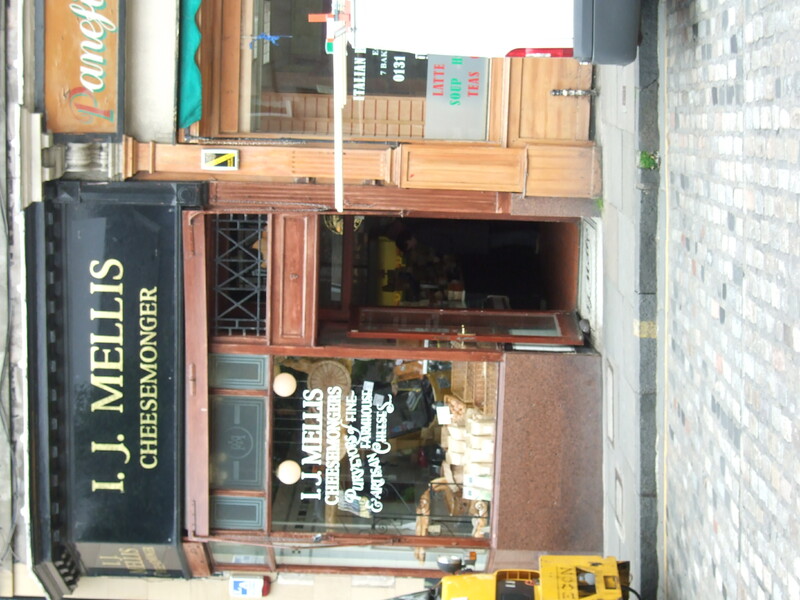 – Not far from the Royal Mile and Edinburgh Castle is a great take-away pork sandwich place called Oink (“delicious scottish hog roast rolls”) that vegetarians will NOT enjoy since the pork is carved from a pig laid out in the front window. 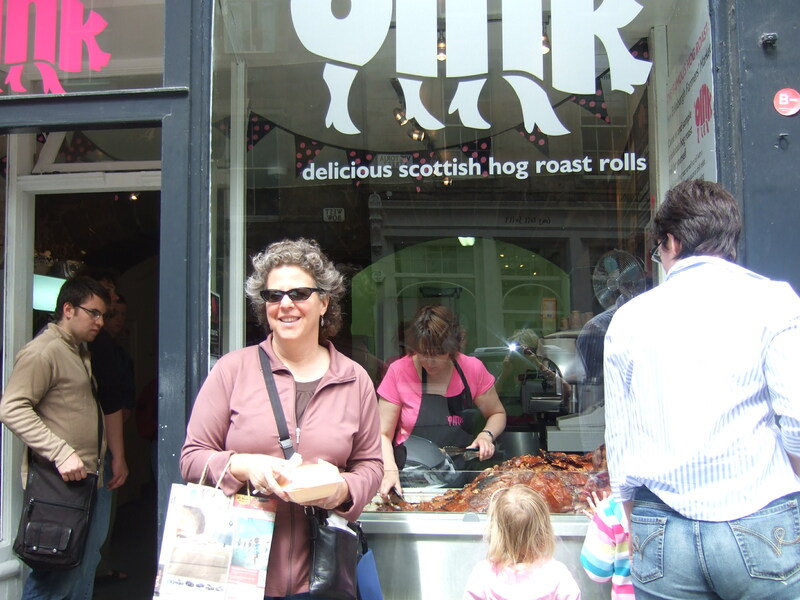 OINK is on Victoria Street in the old Grassmarket area http://www.grassmarket.net/grassmarkethistory.asp which is worth a wander. – There’s a good pub, the Bailie, that we went to for lunch (good mussels in a whiskey/bacon sauce and sticky toffee pudding) in an off-the-beaten track neighborhood with nice little boutiques and galleries called Stockbridge.